Several months back, screenwriter, author, and Topps trading card creative Gary Gerani joined the 'Chive Cast for an interview about his involvement with the original line of Star Wars trading cards and to spread the word about his then-upcoming book Star Wars: The Original Topps Trading Card Series - Volume One. Officially released last month, the book is a great companion piece for fans and collectors of the iconic trading cards (especially those lazy collectors such as myself that never actually put together a set). 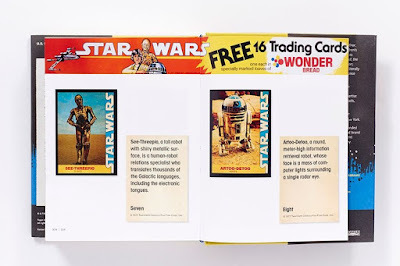 Following an entertaining introduction which succinctly sets the stage for how Topps acquired the Star Wars license and went about designing the product, the book depicts each and every card and sticker in the 5 series run for the first film, with many of which annotated by Gerani. What trading card enthusiasts will likely enjoy the most are anecdotes specifically related to design and "copy" decisions, curiosities, challenges, errors, and the like. "Given the over-the-top aspect of the film's imagery and concepts, we decided that our captions should be simple and direct, making unambiguous statements. This was very much the opposite of how we handled Star Trek in 1976, where captions were punchier, more stylized, and even multidimensionally designed." Other footnotes provide amusing commentary about odd details, such as Topps having to hand draw trademark symbols for a myriad of Star Wars story elements and being given leeway to invent their own dialogue for certain captions. 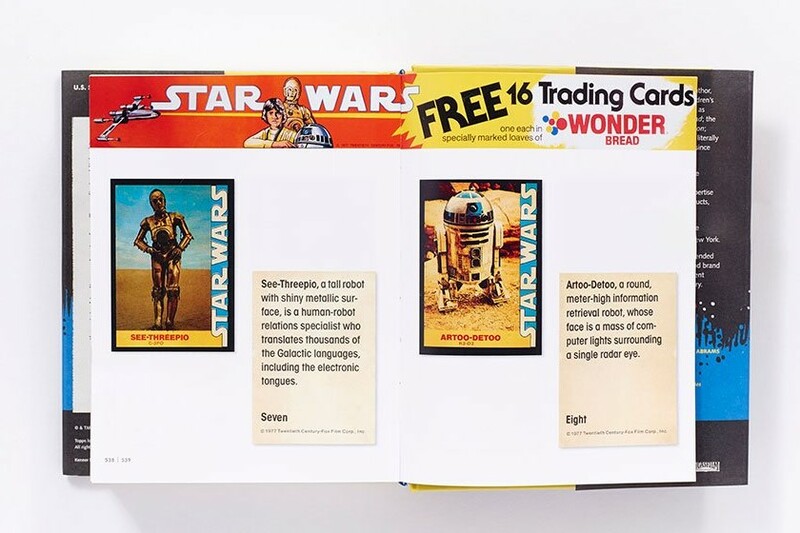 The book closes with a nice section on Wonder Bread's obscure series of premium trading cards that were tied into the nationwide Star Wars Sweepstakes in 1977, with a foreword by Robert V. Conte. 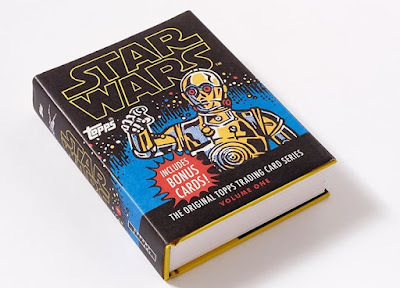 Like the five original Topps series, the entire set is reprinted in this volume. Beyond the content, the book is physically designed with a charm that collectors will appreciate. It's on the smaller side, with each card given its own page. Better yet, the jacket cover has a wax-like texture similar to the original trading card packs, along with a few other fun particulars that I'll leave to surprise. All in all, it's a worthy addition to any vintage Star Wars library. The book can be purchased here. In other good news, Volume Two (The Empire Strikes Back), due out next April, is also available for pre-order. I own them all for the first three movies that came out sets. Plus the heritage set. This new force awakens Topps set is funky and expensive I bought two boxes and still didn't get a full base set yet that's $120. Give me a break Lucas!